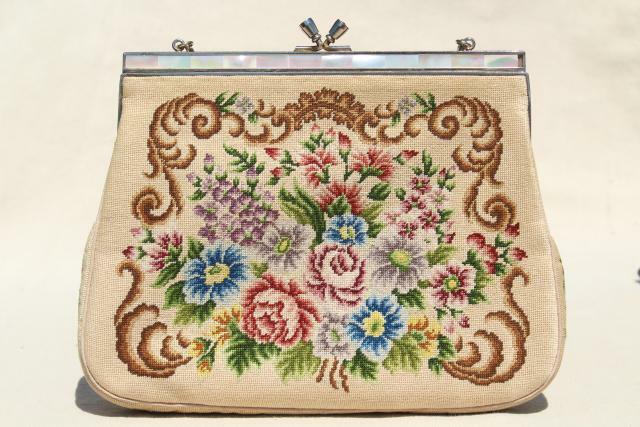 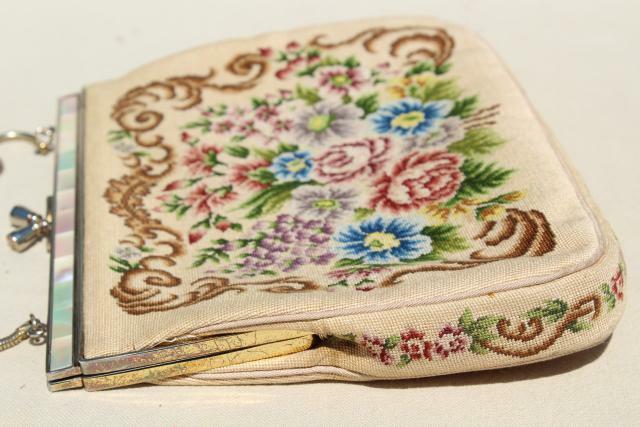 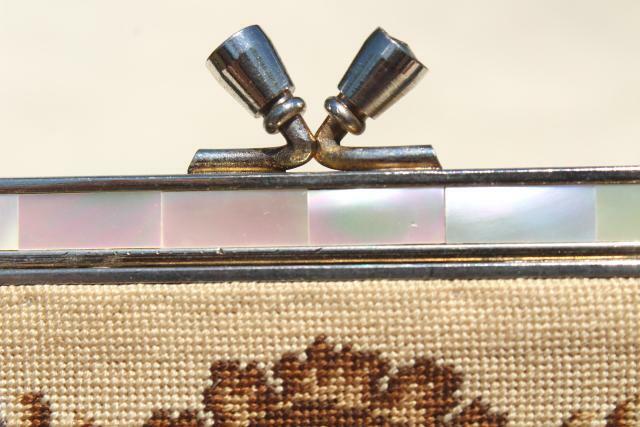 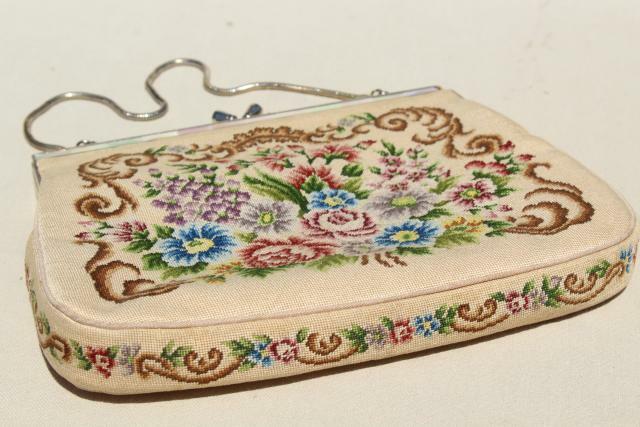 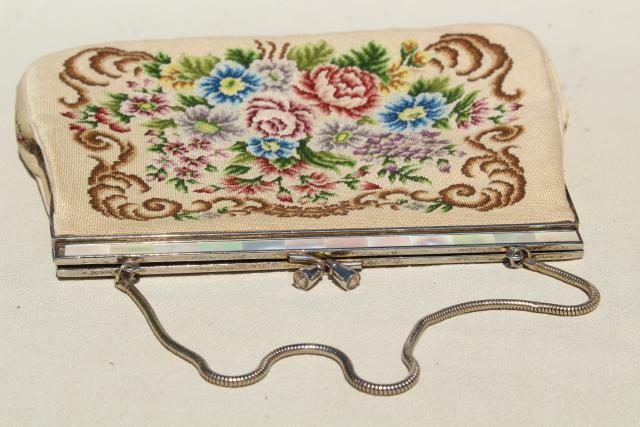 Vintage petit point or micro point needlepoint purse, made in China? 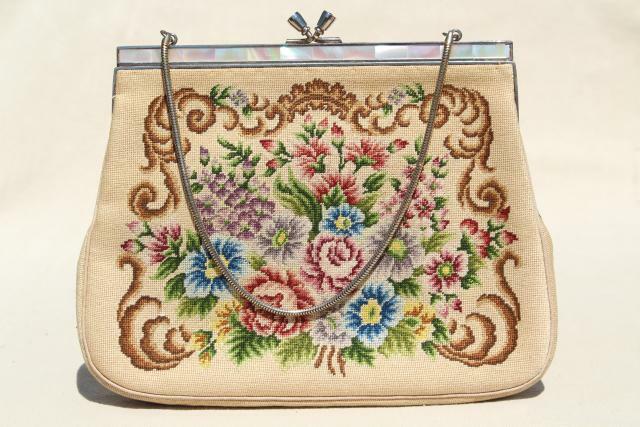 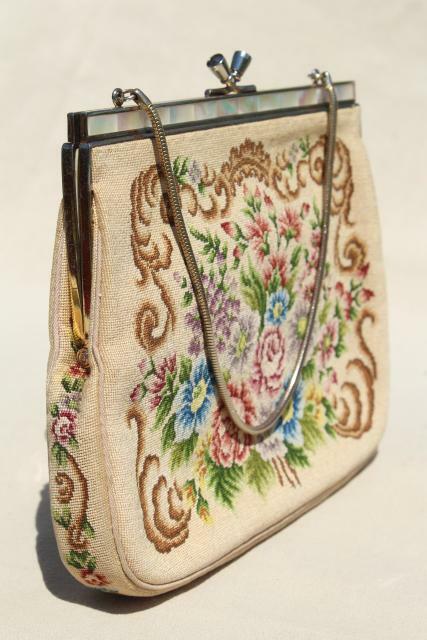 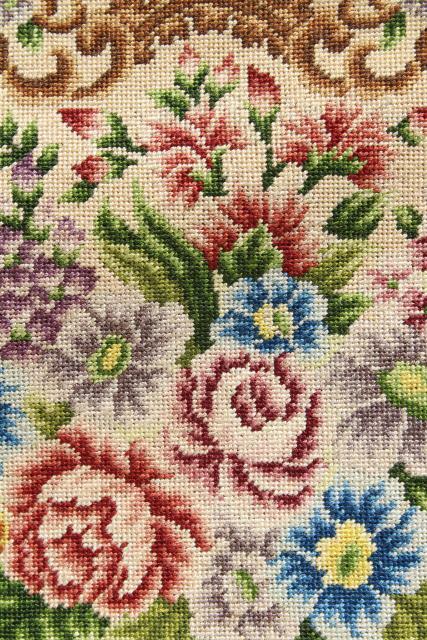 We did not find a marking on this pretty floral bag, but it was with a few other Chinese bags as part of a single estate. 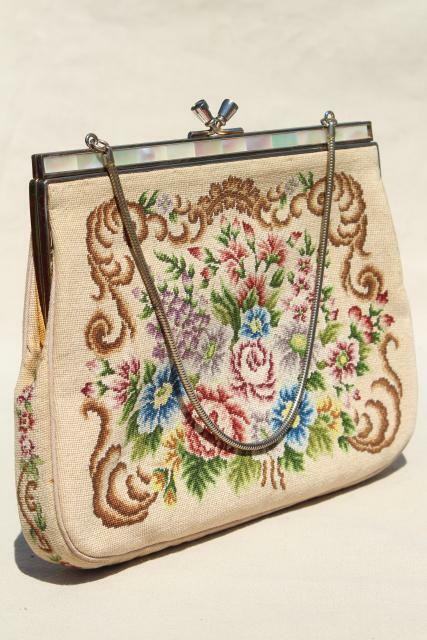 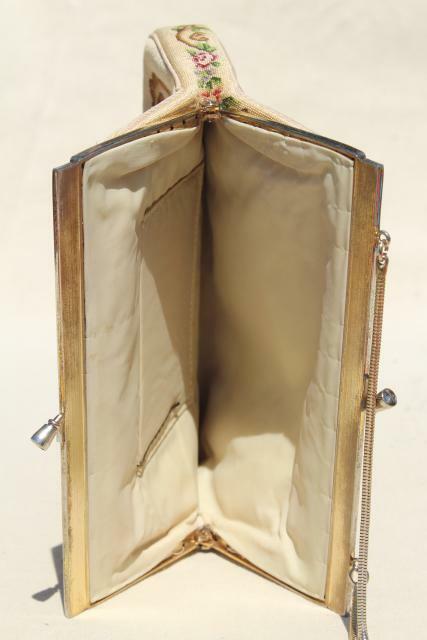 The bag measures 8 1/4" x 6 1/2" x 1", not including the chain handle.